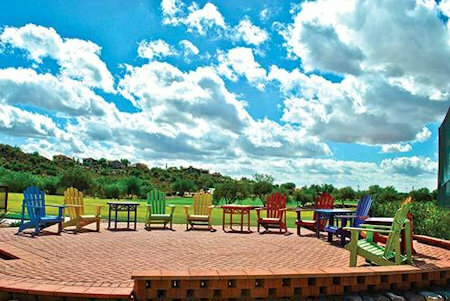 The Villas of Gold Canyon in Gold Canyon, Arizona - Bid on a 7 Night Stay in a Studio or 1 Bedroom Mini Suite! 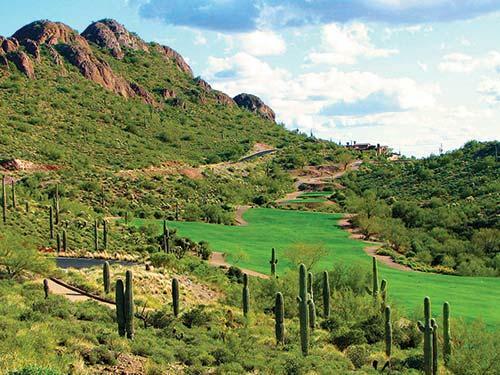 Nestled in the foothills of the Superstition Wilderness Area, at the base of Dinosaur Mountain, The Villas at Gold Canyon offers a vast number of amenities, such as driving range, restaurant, wood-burning fireplaces, Wi-Fi, and private patios (many with hot tubs). Escape reality in the full-service spa and salon. 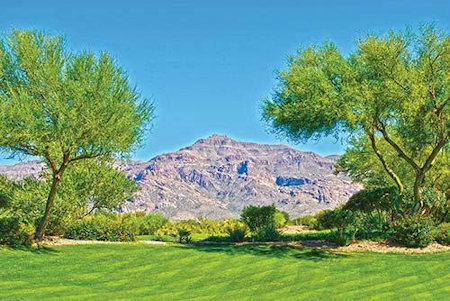 Play a round of golf on one of the resort's breathtaking courses, Dinosaur Mountain, which is rated four-and-a-half stars by Golf Digest, or four-star Sidewinder. This is a dog-friendly property, but please contact the resort for fees and limitations! Your Studio Unit will sleep up to 2 guests and comes with a partial kitchen. 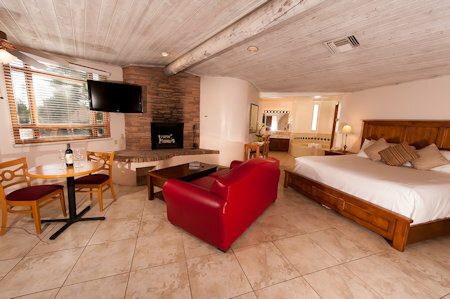 Your 1 BEDROOM SUITE will sleep up to 4 guests and comes with a mini kitchen.